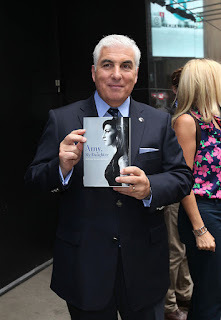 Mitch Winehouse is Amy's father. He has one book translated in several languages. What a powerful read, and at the end, I'm in tears. As a parent, I couldn't imagine having to bury your child. Adult or not. It is something I know I wouldn't ever get over, so my heart cries for her dad. 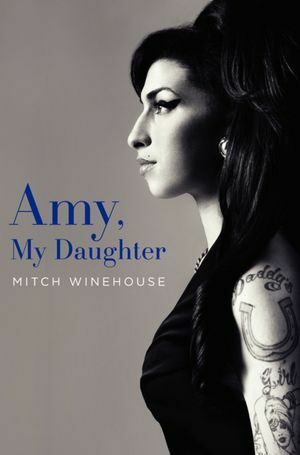 This book is from Mitch's point-of-view, and being her dad and best friend, he knew more than anyone. I remember watching it all unfold in the media, them calling her 'Wino'. Seeing her dad's view really opened my eyes to her situation. She wasn't lost, or even a druggie, though at one point she had to kick drugs. She was a drunk. A fatal drunk. She wanted to be sober, but was caught in a cycle. Such a sad way to go. Yet, if you look at that '27 club', weren't they all drunks and super talented?! **This copy was purchased. Opinions are owned by Freda's Voice. Sounds like a good one. I saw the film about her awhile ago and really felt for her after hearing her story. Sounds like an eye opener. Such a shame what she did to herself! It seemed like she just control her addiction.